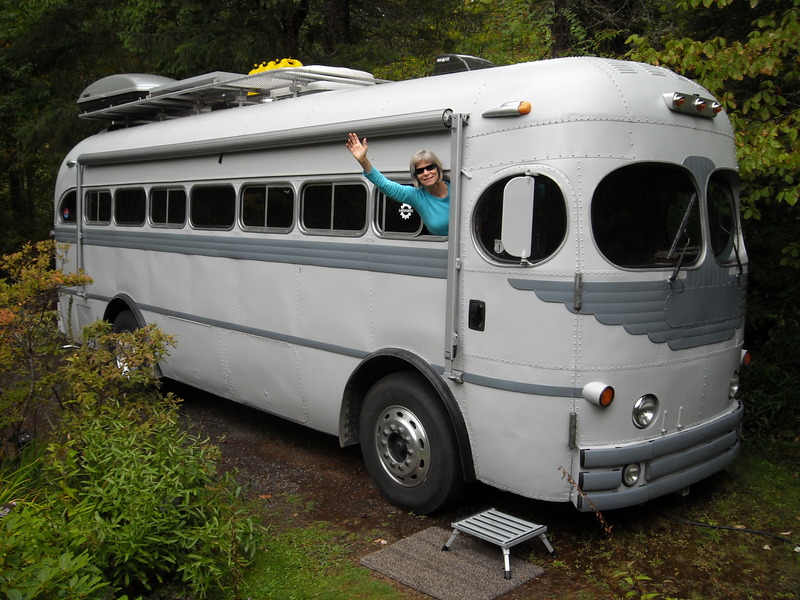 Our sometimes live-aboard home is a 1948 MCI bus made in Canada. Jaak and I used to live aboard boats, so we finished the bus inside like a sailboat. We run bio-diesel from recycled oil from french fries. Well, not just french fries, probably fritters and tempura too. You can check out more pics of our bus on my Facebook page.